Acting, rapping, singing, spoken word and poetry performances were all part of KU Amnesty International Society’s Raise for Refugees event, an “artistic exploration” of the Syrian refugee crisis. 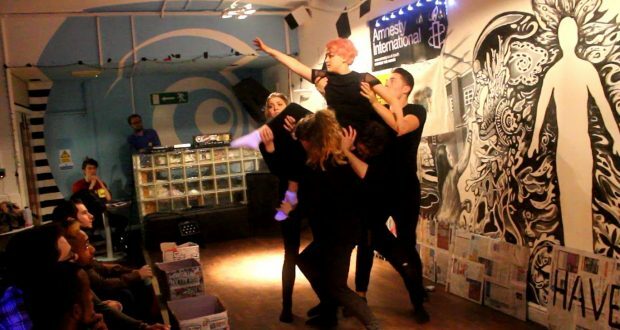 The fundraiser held at Knights Park bar kicked off with a performance entitled Crisis by Dinghy – a group of third year Kingston University drama students, Connor Smith, Emma Owens, Olivia Cramsie, Ella Morris and Sean McAlinden-Barber. “It was a politically charged physical piece, based around the Syrian refugee crisis. We drew on some motifs that are very current but also echoed some past refugee issues too,” said actor Connor Smith, 21. Those attending were able to munch on free boxes of popcorn and have a glitter make-overs whilst watching the performances all in aid of an important issue. Various other performances included United Crisis by rapper Fresh Mind, and The Play by spoken word artist Kamal Hassan Mohammed. 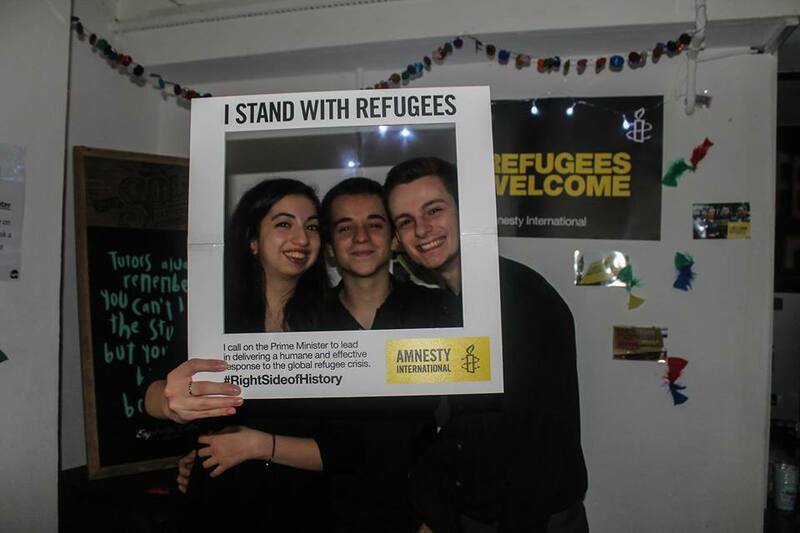 Amnesty International media officer and KU student Holly Duffield, 20, said: “The Amnesty ‘I welcome’ campaign is so important because it sends a message of love and welcome at a time which recently has seemed so unaccepting of victims of political warfare. The amount raised by the event is yet to be announced.